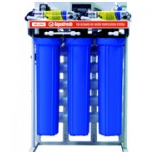 Commercial RO Reverse Osmosis Systems handle the task of water purification for the high TDS level Water. RO System is basically used in Offices, Hospitals, Schools, Restaurants etc. Commercial RO are different types like: 25 LPH, 50 LPH, 100 LPH, 150 LPH, 250 LPH, 500 LPH, 1000 LPH , 2000 LPH ETC. 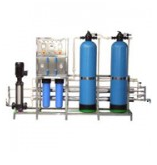 RO system use in advanced reverse osmosis technology and modular water purification process, which could be connected with municipal tap water directly. It can remove impurities, microbes, bacteria, organics, heavy metals and other harmful substances effectively with efficient water purification to supply drinkable water. RO purified water is suitable for cooking, nursing, cleaning. It can also provide the purified water for humidifiers, steam iron, hairdressing, small appliances with great effect, and it can also be connected with several pipeline machines to form small-scale of water supply systems to meet high quality drinkable water needs for the home, office, producing workshop, etc . The filter source products pursuit of energy-saving, environmental friendly, convenient and practical. Product quality has been recognized by the relevant authorities. Different types of commercial RO systems have different commercial ro system price, it depends on the TDS Level of Water. We quote you RO price according to TDS level. For High TDS Level, the commercial ro water purifier price will be higher, whereas, if hardness is lower then the domestic or Commercial RO Price will be low. For RO plant, sometimes we require visiting the site of the installation in advance. In this visit, our technician explain you about RO system, and suggest as to which RO type is appropriate for your site. Likewise, the commercial RO plant price is also quoted to the customers, i.e. based on the specifications, etc.